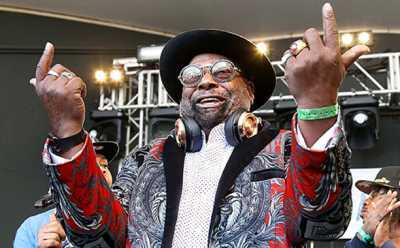 Legendary funk artist George Clinton is preparing to release a new album, his first since 2008’s George Clinton and His Gangsters of Love. Best known for his work as part of Parliament and Funkadelic, Clinton’s upcoming project will be released on Brainfeeder, the label founded by progressive electronic artist Flying Lotus. Flying Lotus, Funkadelic (featuring Clinton), Shabazz Palaces, Thundercat, and the Gaslamp Killer will perform three special Brainfeeder shows in September. The first two, set for Sept. 15 and 16, take place at Oakland’s Fox Theater, while the third, scheduled for Sept. 17, is booked for Los Angeles’ Hollywood Bowl.